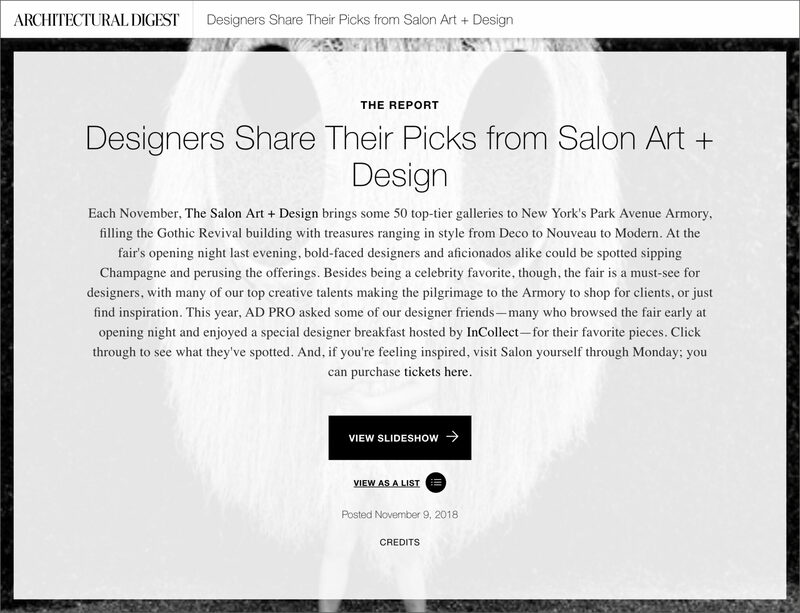 You can read the article in its entirety on the Architectural Digest website. James and his partner John Meeks are true visionaries. 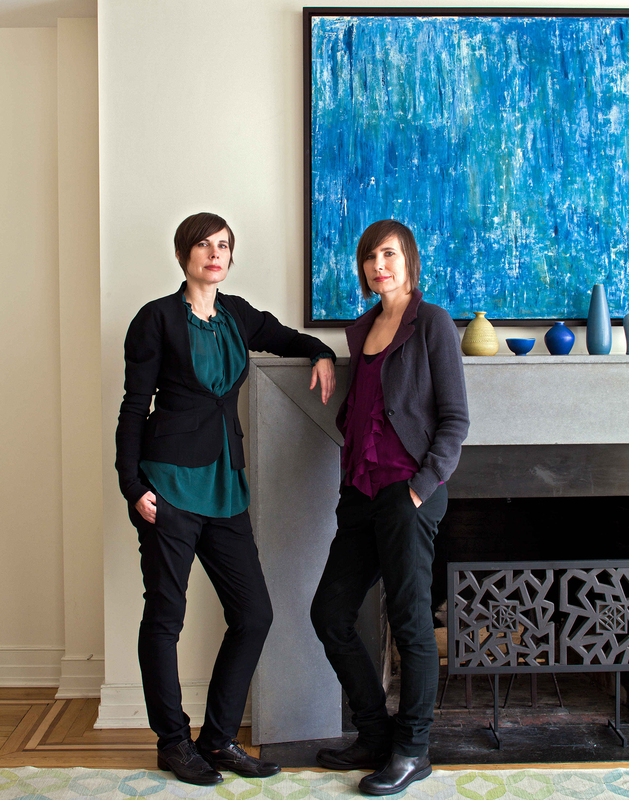 Their work is crafted to create livable, curated interiors that are timeless. For example, throughout Aman’s book, each project, whether completed ten years ago or today, looks as if it were just shot for an Architectural Digest spread. This is an extraordinary feat in and of itself and why the two are known for interiors that endure beyond momentary trends. From Palm Beach to Los Angeles to Europe and over their careers they report that their work always remains engaging and fun. Each new project is a truly new experience. 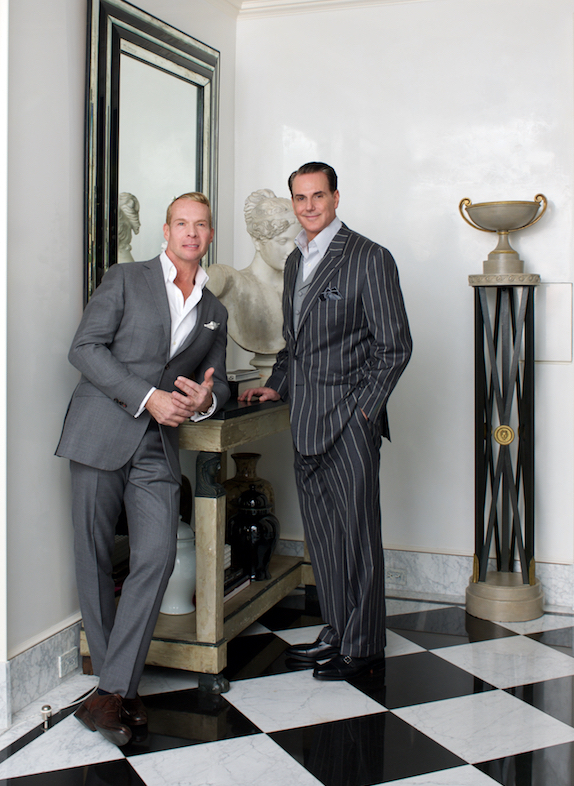 At the time of this interview, John was shopping for a Palm Beach client. I was able to catch up with James at their busy Manhattan office. There are so many inspirational aspects to design, I thought it would be rather fun to ask James some questions to learn about his influences, aspirations and thoughts – and what motivates his creativity. 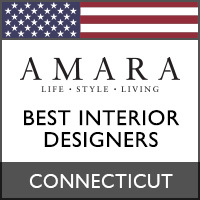 Enjoy this journey of design with Aman & Meeks’ James Aman! 1. When you were a child did you know that your career would be in the arts? If not, what did you think you would do? I loved theatre, how sets moved around, and I excelled in that aspect of design as a child. 2. How has your past influenced your design aesthetic today? I have been working for 26 years with clients who have major art collections. That has affected how they view interiors and how they will approach things. 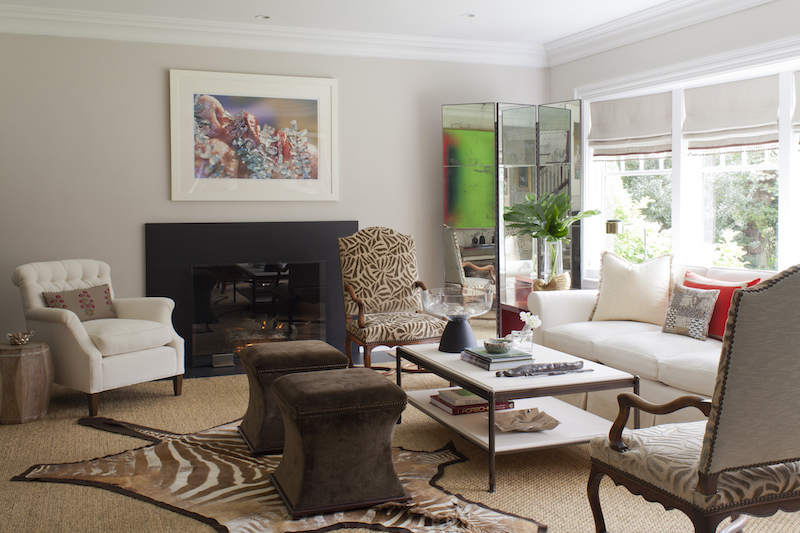 They go for good bones and neutral color palates which makes things more livable. As John was a clothing designer before we started our firm, we both agree that we love a great Pucci dress but do not want to look at that piece every day. Common sensibility: go for livable and timeless. 3. What is one of your favorite films? I draw a lot of inspiration from movie and theatre sets. One of my favorites is “Leave Her to Heaven” with Gene Tierney. Much of the action takes place in an amazing country house with interiors were built on a soundstage at 20th Century Fox studio in Los Angeles. Interior Design needs to be personal as well as dramatic. It’s a background for life. My first job out of Pratt School of Design was as a designer for Ralph Lauren. I was there for 12 years. 5. What music are you currently listening to? Anthony and the Johnsons, Beautiful South, Snow Patrol and The Motels. 6. Who is your favorite musician? Debbie Harry of Blondie fame. Her music is consistently good. I caught her show at the Café Carlyle. 7. Who is your favorite photographer? The softer period of Robert Mapplethorpe is appealing. Also Horst P Horst whose style was a direct response to the major avant-garde art movements of the 1920s including Bauhaus and Art Deco. He has a neo-classic feeling that I find inspiring. 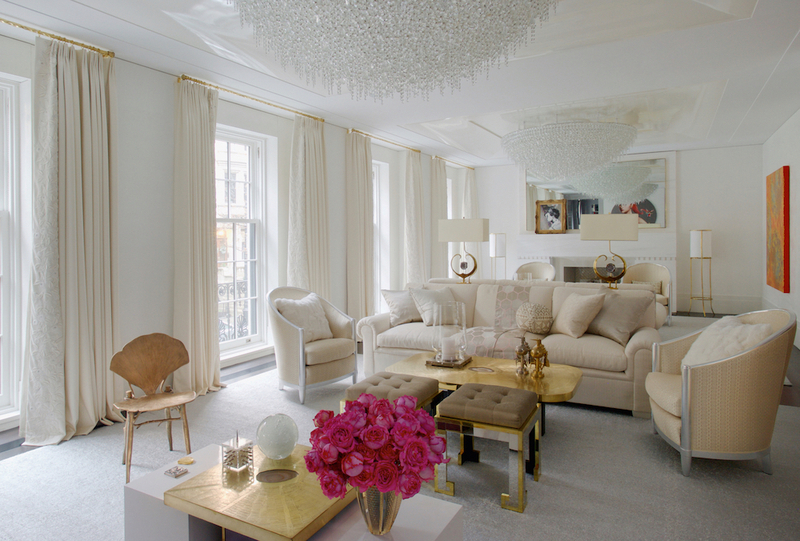 8. Who is your favorite Interior designer? Billy Baldwin. He was innovative and still very much relevant today. 9. What is or was your favorite time period for design? The 1920’s as exemplified by Emile-Jacques Ruhlmann and, of course, the 1950’s as interpreted by Billy Baldwin in his work. 10. Who is your favorite film director? Alfred Hitchcock, hands down. Everything was so story-board stylized. Psycho was treated and executed as an art film — truly amazing for its time. 11. What’s your favorite personal design element, the one you can’t live without? Vintage Kieselstein-Cord cuff links that I wear every single day. 12. What is your design trademark? 13. What’s your favorite travel destination? John and I loved Amsterdam. The people are delightful, and the food is amazing. For us, the architecture there is wonderful to behold and we immersed ourselves in the museums. The Van Gogh museum and Rembrandt House are musts for design inspiration. 14. What is your favorite project to date? For us, it’s all about the moment, so the project we are working on is always our favorite. 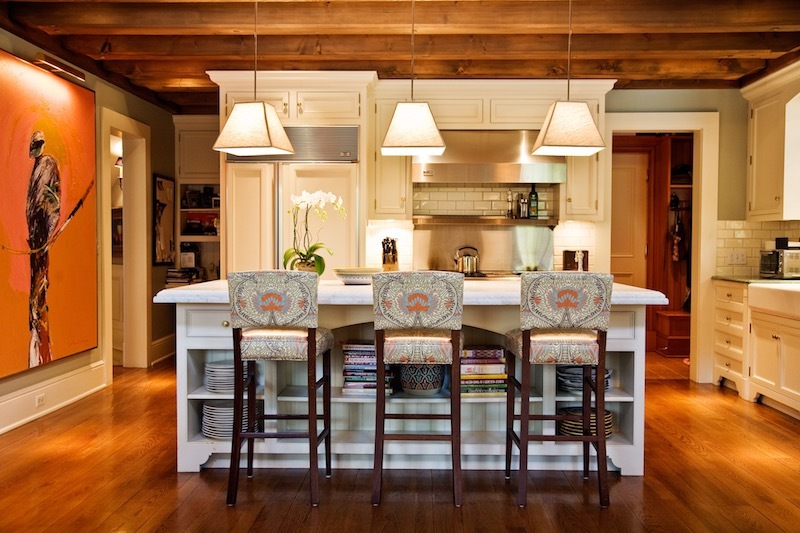 We love projects with architecture and good bones that enable great design. 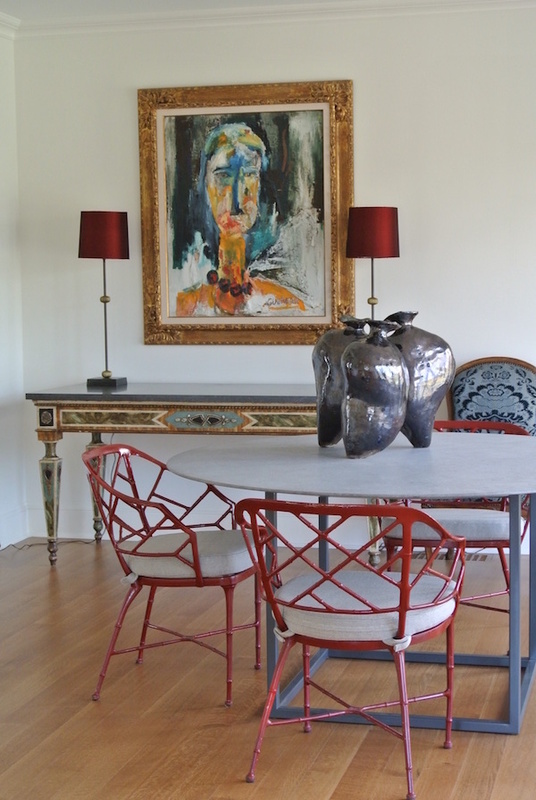 Our clients move around or have multiple homes with substantial art collections that are always evolving. 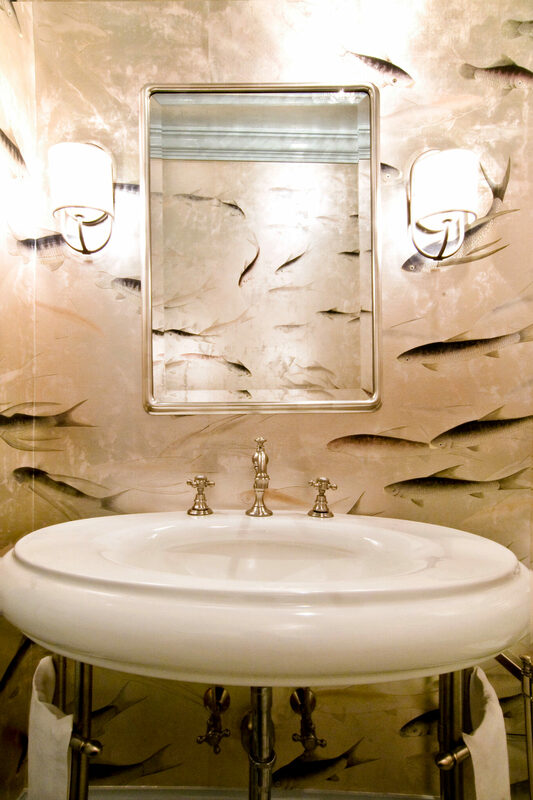 Our interiors allow our clients to change their art and it always looks good. 15. What is an element of your life that you can’t live without? Milly, our little Pug dog! 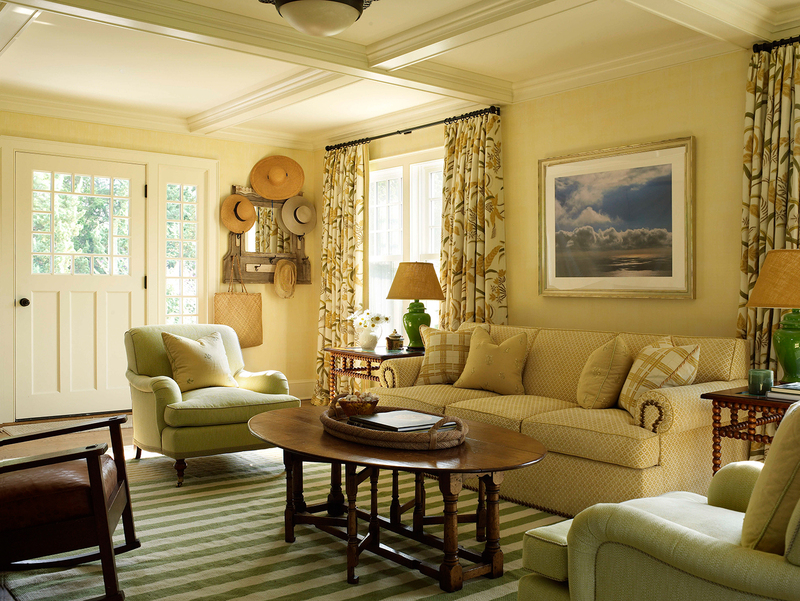 Designers on Designers: Charlotte Barnes, Greenwich, Conn.
Charlotte Barnes, founder/owner of Charlotte Barnes Design & Decoration, LLC, is the doyenne of Connecticut design. Her work is not only beautiful and well curated, it also speaks to her clients’ lifestyles and represents who they are. Charlotte’s interiors have taken her all over the world, designing city townhouses, pied-a- terres, residential apartments and special commercial spaces. 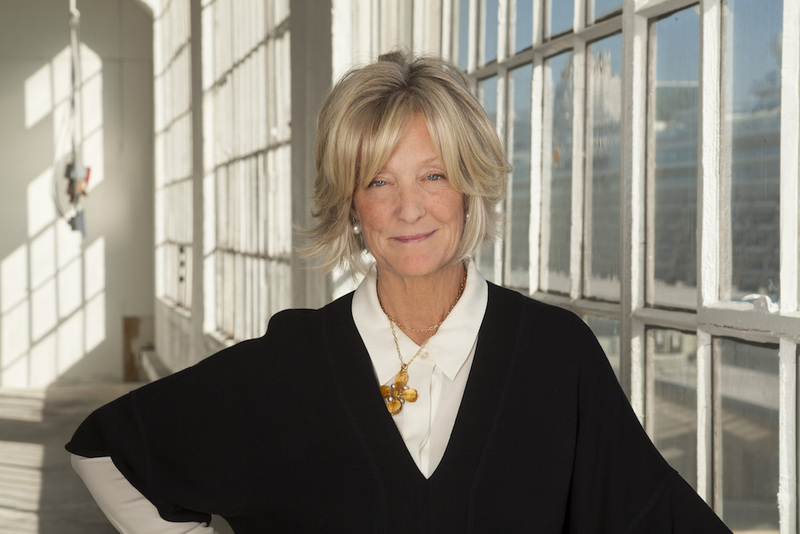 She was inducted into the New England Design Hall of Fame in 2015. I met Charlotte for the first time at her quaintly chic interiors shop in Greenwich. I immediately fell in love with her graceful, “not so traditional” style. Every detail was perfected — from the colored pillows placed carefully next to the caramel sisal floor, to the 4” custom collars on her tailored, white button-down cotton shirts, a “Charlotte” signature. I’m excited to share her fascinating creative journey with KLAFFStyle readers. Charlotte spent most of her childhood in Philadelphia and upstate New York, often traveling to and from New York City to visit family. The city was part of her young vernacular, greatly influenced by an aunt who was an interior designer and a grandmother who was very social and wore gloves until the day she passed. These women and their senses of style are evident in her aesthetic to this day. Early on she knew she would be working in the arts. As a teenager she painted her room multiple times to create different visions and developed a love of fashion. She integrated these youthful sensibilities into her future careers. Upon graduating from school, Charlotte moved to New York City. Unsure of where to start her career, she took the advice of her father who said, “Get your real estate license.” Showing Manhattan apartments to a fashion executive—the president of Ralph Lauren—proved to be serendipitous. This client was a licensee for Ralph Lauren at a time when the company was growing and had a need for talented young people with taste. Charlotte shared her passion for style and fashion with this client. Their conversations led to an opportunity at Lauren and a job offer. Charlotte became a Ralph Lauren merchandise coordinator at Bloomingdales and began to make a name for herself. As the company continued to expand, a licensee from Canada decided to take Ralph Lauren to London and recruited Charlotte for Head of Womenswear at the first office overseas. Although she worked with Ralph Lauren design on womenswear, her main focus at that time was on merchandising, product design, working with factories in Italy, and creating womenswear that represented the brand. During this phase she developed a meticulous attention to detail. For example, merchandising a Polo shirt wall could take hours to get the look just right. Her commitment to seeking perfection paid off. While in London, Charlotte met Anne Hardy, an American editor at British House & Garden who just loved her style and asked to feature her flat in a story. 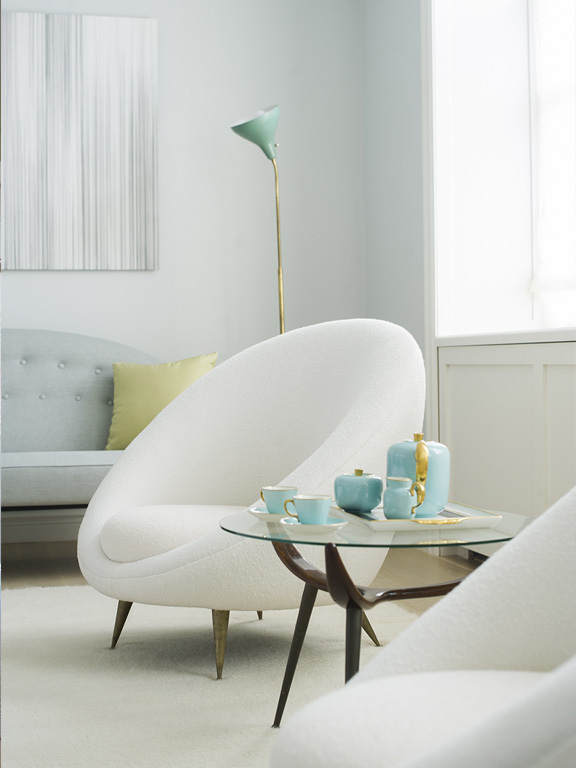 The response was so positive that it led Charlotte into Interiors as her next career. 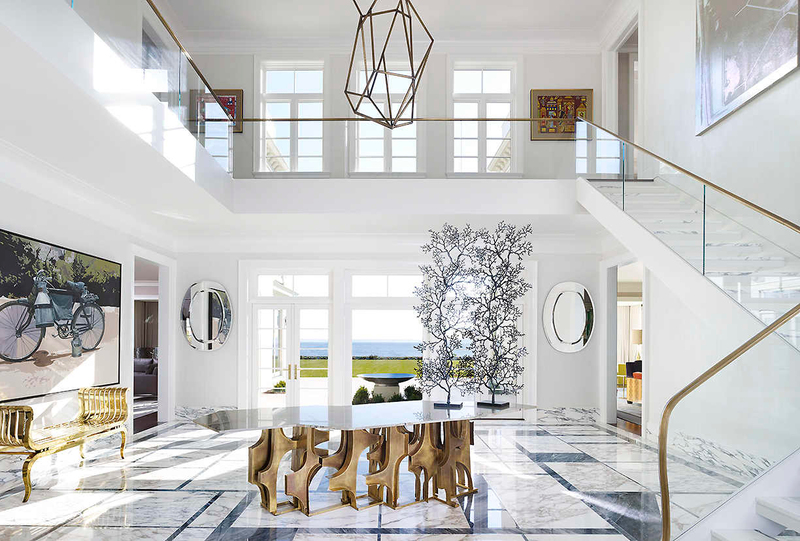 When she returned to the States she settled in Greenwich, Conn., where she opened her eponymous boutique and design firm Charlotte Barnes Interior Design & Decoration, LLC. The boutique features select items from her 30-piece furniture collection, which she created and launched in 2014, as well as an array of curated antiques from her travels. She’s attracted a loyal clientele in New York City, Greenwich, East Hampton, Watch Hill, Newport, Nantucket, Martha’s Vineyard, Palm Beach, John’s Island, London, Turkey and many other locations around the globe. 1. How would you describe your aesthetic? Traditional but not. Clean elegant lines, timeless with a blend of tradition and modern. I love collections and the stories behind them. 2. What is the best advice you have ever been given? Be honest and maintain your integrity. 3. How has travel influenced your design work? Every place that I travel inspires me when creating my next project. When I first started I had a fashion background so I had to teach myself scale and proportion. There are so many projects, especially the little jewel box ones. One that stands out is a beach house in Amaganset, a fab A-frame home with exposed beams I painted all white with accents of color. It was beach chic. 7. What is your favorite word? 8. Who is your favorite musical artist? 9. What is your favorite vacation spot? 10. What is your most coveted accessory? Fairfield County native Victoria Vandamm has been designing interiors ever since she can remember. She was raised in the Stamford/Greenwich area by British parents whose influence on her talent and professional ability was key to her business today. Her mother ran the BBC’s United Nations bureau in New York and was also an artist who taught Victoria many skills including sewing, painting and pattern making. A traveler with an ear for linguistics, by age 15 Victoria was a private tour guide at the UN, able to name every country by its flag. Her early experiences led her to art school to study fine arts and, after graduation to seek a career in fashion. Victoria’s first job was at Porteous, Mitchell & Braun, a department store in New Hampshire, established in 1938. There she headed the display and drapery departments and learned everything about installing window treatments, including the engineering behind the cuts of fabric and the mechanics of installing drapery hardware. Longing to be closer to New York City, she moved back to Connecticut and landed a job as the manager of the Nettle Creek Shop in the Cos Cob section of Greenwich, a home store franchise that sold everything an interior craved. In 1978, after six months there, she purchased the business. She was 22 years old. At the same time, she founded Vandamm Interiors to establish herself as an interior designer as well as a shop owner. As her business grew, she took on a partner, a business relationship that would last for 15 years, and opened a wonderful in-town design store on Greenwich Avenue. The design business was growing fast. Victoria was the buzz around town and her work soon went global. She designed homes throughout New England including Newport, and also worked with clients across the United States and in Europe. As boating was part of her coastal childhood, it was natural for her to add yacht design to her portfolio of services. Her travel schedule to implement client projects made her retail presence less practical, so she moved from Greenwich Avenue to a part retail, part design studio on West Putnam Avenue, which she maintained until April 2009. At that time, Victoria had the opportunity to pursue her yacht design specialty in the Maldives. She traveled back and forth to this exotic locale from July 2009 until April 2011, which she describes as, “…a life influencing experience!” During this period, she designed a number of private yachts working with boat craftsmen and honed her skills in spatial planning. After 34 years of retail she moved her business to a 1790’s farm hand’s cottage in Stamford from which she serves her clients today. 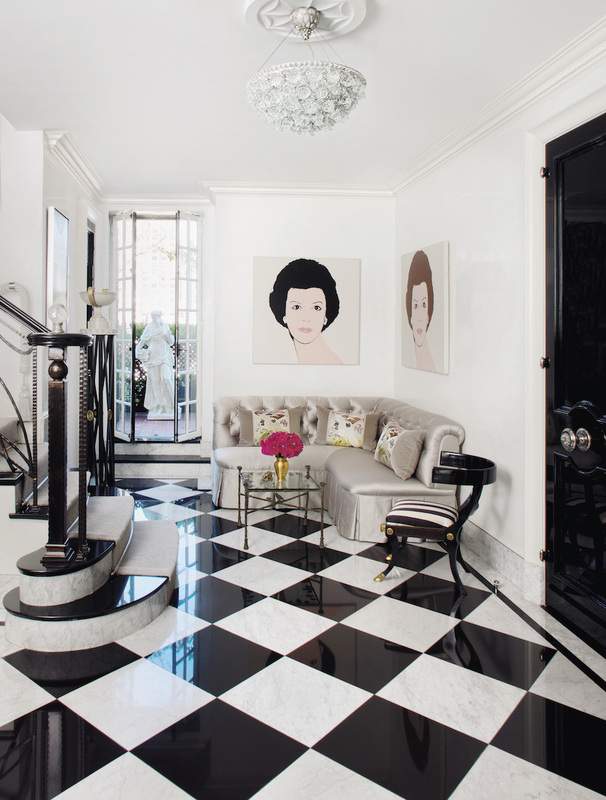 Victoria designs like an artist, approaching each room as if she is painting a canvas. Every detail is carefully curated and combines beauty, form and function. In the Q. and A. below you can get to know more about Victoria’s yacht design approach and her other interests. 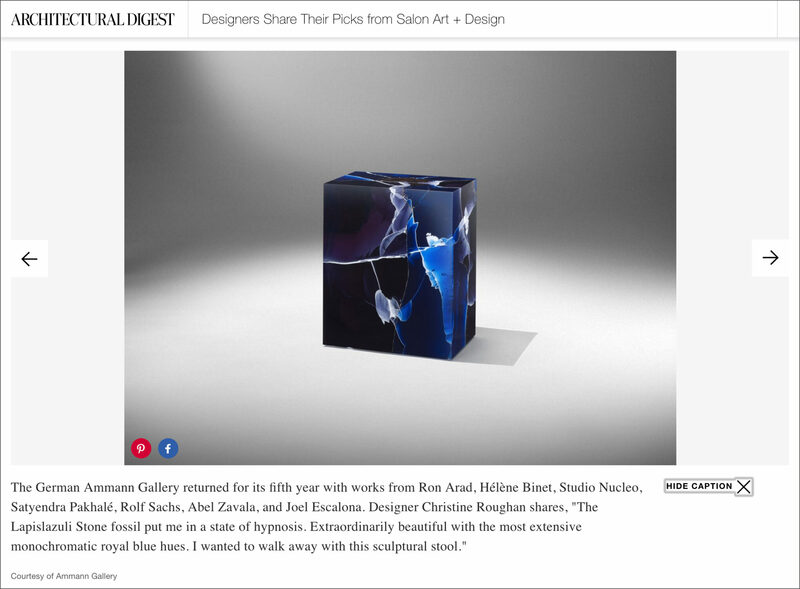 You can visit her work, which is frequently featured in design publications, at vandamminteriors.com. CR — What are the key challenges in yacht design? VV — Weather, water, sun, space! Weather: It doesn’t matter how big or small a boat is, the seas are bigger! Water: While many yachts are climate controlled 24/7/365, they are still on water — often, quite salty water — and that affects all sorts of things. Sun: Everything has to be treated to prevent fading from the sun! Windows, fibers, wood, everything! Space: With yachts of any size, you have to be very creative to find or make storage and to decide how to use space. Some spaces become multi-purposed, ie a daytime gym can become a club at night complete with dance floor and disco lights. Hot tubs often have tops put on them to transform them to floors or tables! CR — What elements of excellent yacht design can positively influence home design? VV — Creative and efficient use of space. Also, awareness of design. I find that, often, clients are very willing to be ultra-creative on their yachts, where they won’t be in their land-based homes. I think it’s because a yacht is often a place to show off rather than a place to come home to on a regular basis. But homes can often benefit from a bit more ‘show’ that might at first push the comfort envelope. LIGHTING is VERY important and one gets the chance to be very creative with it on a yacht. Some of these techniques translate well to the home. “Scenes” are important. CR — What are you currently reading? CR — What is your favorite song? CR — Two things you couldn’t live without? CR — What would surprise our readers about you? CR — Favorite water destination, lake or sea? VV — Sea, of course!! I love the smell of the salt air! I had the pleasure of meeting Jayne and Joan Michaels, founders and principals of New York City-based interior design firm 2Michaels, LLC, when my home office was also based there in the early 2000’s. We met at an industry party in Soho, a book signing for Shane Reilly’s first book, “Inspired High End Interior Design,” in which we were both included. It was soon after we had both also been published in Quest Magazine. Their statuesque elegance and warm appreciation of people were immediate and highly-inviting attractions. After chatting with them, I noticed that those gifts translated throughout their featured project in Shane’s book. The space was beautiful yet thoughtfully simple, a simplicity that appeared effortless. I know now that anything in design that appears simple most of the time is not. In fact, the more simplistic something appears to be is often the result of a most arduous journey. Knowing this, made it particularly enjoyable to speak again with Jayne and Joan and to tell their story. It’s quite clear that the 2Michaels’ past has greatly influenced their present design aesthetic. They are truly unique and the familial aspect of being identical twins is just the tip of the iceberg. Their journey has been glamorous, intelligent and meaningful guided by their passions for travel, architecture and design. It began as children living in Utah with a beautiful, bohemian mother who was an artist and father who was, literally, a rocket scientist and engineer for NASA. Their influences taught the girls to tune in, listen to their own voices and take a stand when needed. When they were very young, the inspiring Utah landscape provided a wholesome environment, however the culture was a bit homogenous and the family moved on. Their mother was a Palm Springs, California native and was excited to relocate the family to her home town. Palm Springs in the 1970’s was filled with Rolls Royces and second homes for Hollywood celebrities and execs. A predominant architectural style in the area was known as “Desert Modernism,” a movement that started in the 1940’s and continued into the 70’s, with California architects adapting Bauhaus inspiration to the desert. Such well known architects as Richard Neutra, John Lautner and Donald Wexler, among many others, were responsible for beautiful homes the girls either lived in or near – including that of their next-door neighbor, Bob Hope. Jayne recalls walking by these buildings every day thinking, in disbelief, that they were from another planet. The clean, crisp lines and textural elements the architects applied to building and landscape were unknowingly influencing both girls throughout their high school days in Palm Springs. The girls went on to college at UCLA. During that time, a scout approached the tall and striking young women to model fashion in Italy. It was an interesting invitation — so they accepted. While in Italy, they found themselves surrounded by, studying and conversing with architects and interior designers. Their discussions were always about a piece of furniture made or a structure completed by famed Italian architects and design influencers like Franco Albini and Carlo Scarpa. The women soon realized that fashion modeling was not their calling — and that interior design and architecture was! After being in Italy for a number of years, Joan and Jayne landed in New York to study interior design at Parsons and FIT, respectively. After graduation, Jayne worked for Simone Feldman and Victoria Hagen designing interiors and Joan worked for Ronald Boris Architect in Soho. In 2001, they started 2Michaels LLC and the company has been gaining press and attention ever since. The 2Michaels style can be described as Italian cinematic classic modernism. It’s infused with midcentury American and European furnishings along with textural objects, wall coverings and lighting. They are all about the exploration — from how a piece looks in one direction vs another, while keeping the functionality and comfort of a room intact. 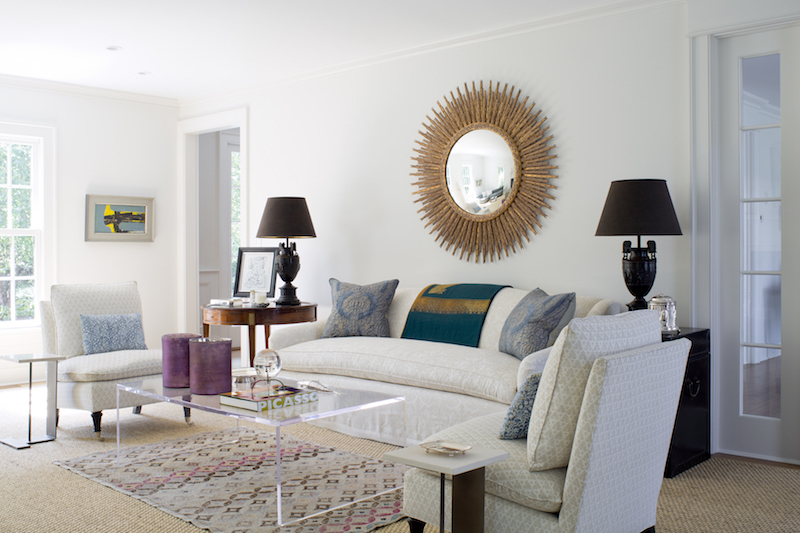 To them, each room is special and represents their client while softly infusing their own style. Their work spans the globe from New York City to LA, Michigan and Italy. In addition to residential work, they’ve participated in commercial design and architecture ventures, including law offices. When designing commercial spaces, they bring in elements of home to create a warm, familiar feeling in these places where people often spend more time than they do at home. Each space is carefully curated. Recently, they’ve begun working with real estate developers on high end, ground-up projects. New York developer Richard Pandiscio approached 2Michaels to work with his firm on three projects with Flank Architects, also based in New York. There were other designers in the running so his request was to have the selected designers create a presentation from which he would choose the designer that would fit best. At the end of a laborious, competitive interview process, the 2Michaels were selected. It became obvious that 2Michaels was the right choice when the luxury ventures in New York City and Miami sold out within nine months. What’s on the horizon for these design ‘Wonder Women’? They have a wonderful project in Sutton Place in Manhattan and a dream come true working with model-turned-architect Robin Osler on a project at 83rd Street and 5th Avenue. I am so looking forward to seeing these projects when completed. Love these ladies! 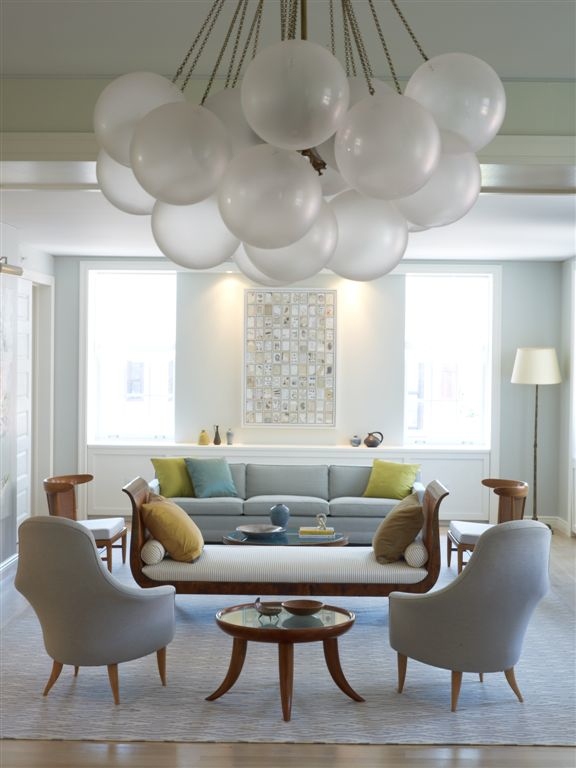 It is my pleasure to introduce you to Douglas Graneto, principal of Douglas Graneto Design (DGD), a Greenwich based interior design firm whose aesthetic range is sophisticated and tailored. Designing for almost two decades, Douglas can create modern and traditional interiors while being true to his signature style, which is classically influenced modernism. He is known for his friendly design approach and his ability to extract each client’s tastes and meet both aesthetic and functional needs. When sourcing items for client projects, he and his team seek and find special, one of a kind accessories that tell a story related to each client. Douglas grew up in Oregon contemplating architecture or art as a career. Intent on seeing more of the world, he moved to Miami and worked for an antiques retailer, designing the store’s interior and its furniture. He also handled merchandising. This experience catapulted him to another move, this time to New York City to pursue a career in art – a life-long passion. Fate turned his career toward design once again. After being in the city only a few weeks, Douglas received a job offer from renowned interior design firm Ingrao, Inc., working directly with principal Tony Ingrao. He honed his skills and moved up the ranks rather quickly. While at Ingrao, he designed and project managed high level jobs worldwide. During that period, he got married. The couple decided to move to Greenwich, Conn. and maintain an apartment in the city. After more than eight years at Ingrao, it was a natural transition to start his own firm. In 2006, Douglas Graneto Design became a reality. 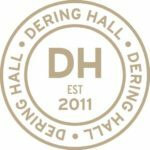 DGD has completed many projects nationally and internationally in locations such as Palm Beach, Chicago, Tennessee, Virginia, New York and Mustique. Douglas welcomes client collaborations and carefully curates each project for the individual client’s needs. Travel is an important part of Douglas’ personal and business lifestyle. He told us that it clears his mind, which allows him to draw inspiration from destinations like Paris, Morocco, and the Arizona Desert. Travel also gives him the opportunity to shop for clients in exotic locales, like international flea markets. DGD has a big year ahead with projects in the Hamptons, Greenwich and New York City. It’s clear his work speaks volumes, and I can’t wait to see more of his projects! You can view his varied portfolio at www.douglasgraneto.com. © 2019 Roughan Interiors. All Rights Reserved.